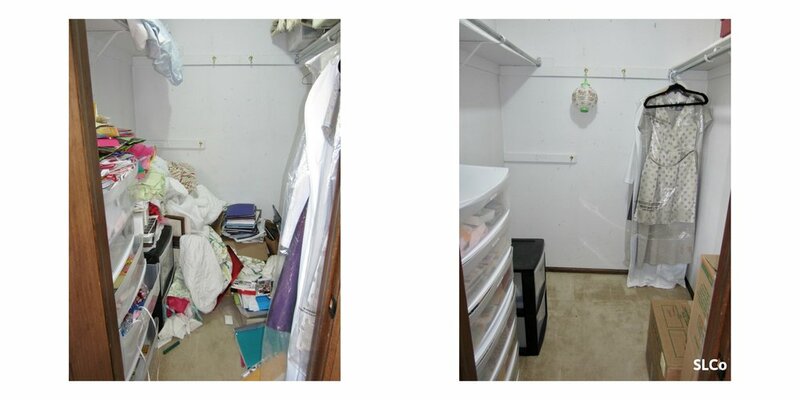 Denver Unpack 1/4: SLCo got this couple’s master closet unpacked and set up just in time for Thanksgiving! Denver Unpack 2/4: It was a bit of a challenge to get good “before” photos because of the amount of boxes in the closet waiting to be unpacked! 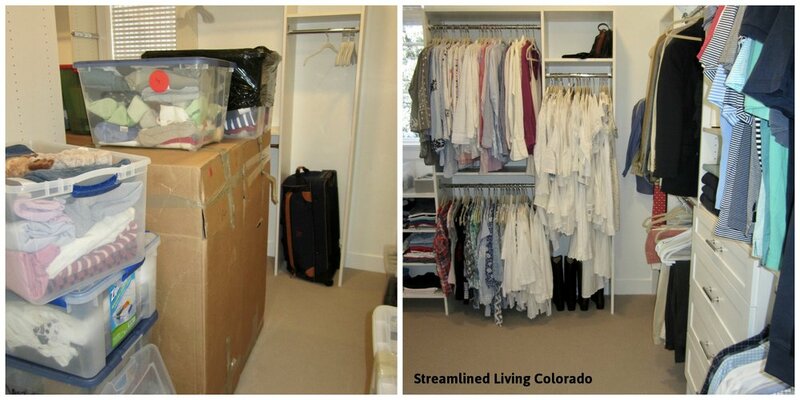 Denver Unpack 3/4: Master closets can be one of the most time consuming areas to unpack. 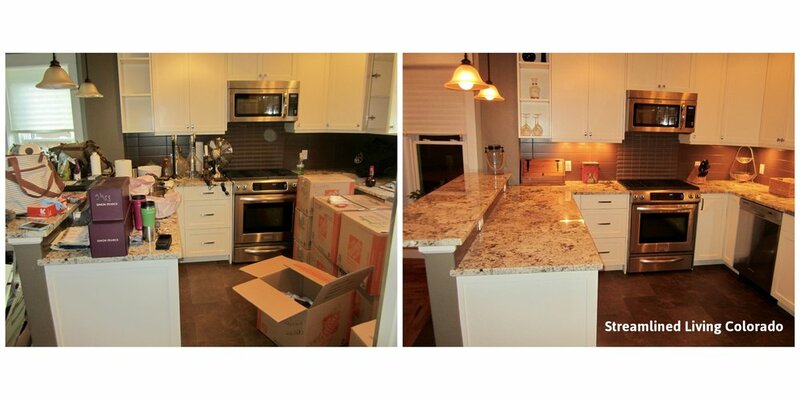 With the help of Streamlined Living Colorado, this client was able to work on other areas of her new home while leaving this daunting task to us! 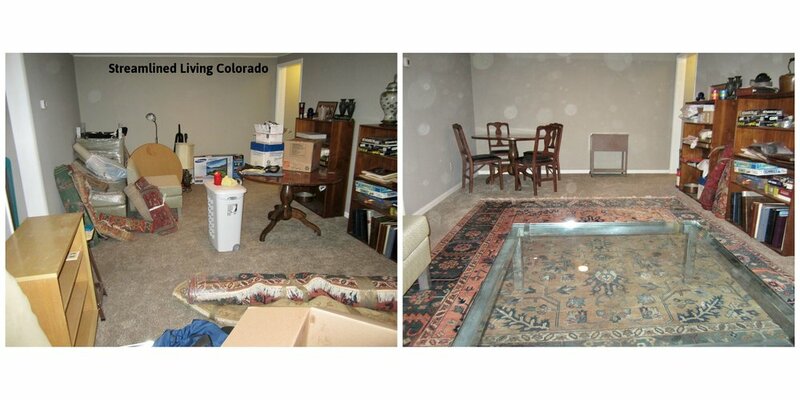 Denver unpack 4/4: By hiring us, we saved this client and her family so much time and stress! They were settled into their new home in a matter of days instead of weeks! Moving Day 1/4: The before picture was taken around 9:00am. The after picture was taken around 6:00pm of the same day. How great is it for my client to feel settled immediately upon moving from a different state and into a new home?! Moving Day 2/4: The before picture was taken around 9:00am. The after picture was taken around 6:00pm of the same day. How great is it for my client to feel settled immediately upon moving to a new state and into a new home?! Moving Day 3/4: Streamlined Living was hired to unpack and organize on moving day. My client and I conquered the entire first floor, which included the kitchen, living room, dining room and home office, all on the day she moved into her new home! Moving Day 4/4: Streamlined Living was hired to organize as we unpacked. Post Move Whole House Organizing 1/7: This large but gratifying project involved Streamlined Living working independently for most of the project by organizing the home, room by room. The client will be making some changes to the home (new floors, adding built-ins) and they wanted help with getting organized before the construction begins. Post Move Whole House Organizing 2/7: There was more than meets the eye for this project. The state of my client's bedroom was affecting his ability to relax after a long day of work so getting this bedroom set up was priority #1 for this post move organizing project. Post Move Whole House Organizing 3/7: The client wanted all of the artwork and framed photos to be in one area so they could decide where they will go in their new home. Post Move Whole House Organizing 4/7: The goal of this office was to de-clutter and move any non-office related items to their appropriate home. Post Move Whole House Organizing 5/7: The client requested that her husband be able to see all of his clothes. Mission accomplished! Post Move Whole House Organizing 6/7: Decorating for any holiday will now be much easier for the client since all of the decorations are in one area and all of the bins and boxes are clearly labeled! Post Move Whole House Organizing 7/7: There is more than meets the eye with these bathroom photos. Streamlined Living unpacked and arranged all the cabinets and drawers in this large master bathroom. 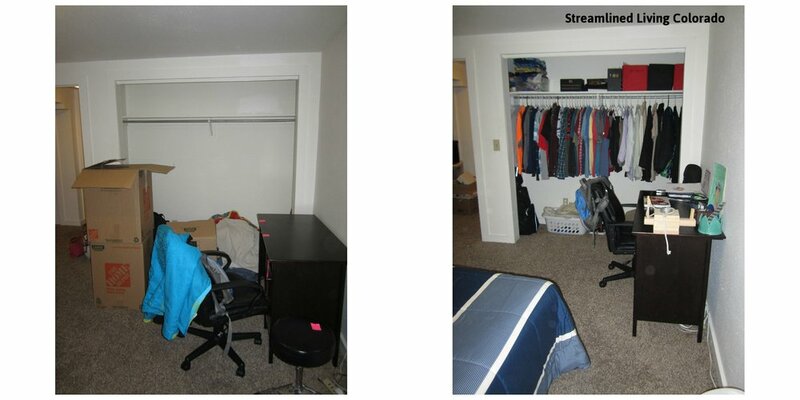 Unpack 1/3: Streamlined Living was hired to assist in unpacking and getting this family settled. 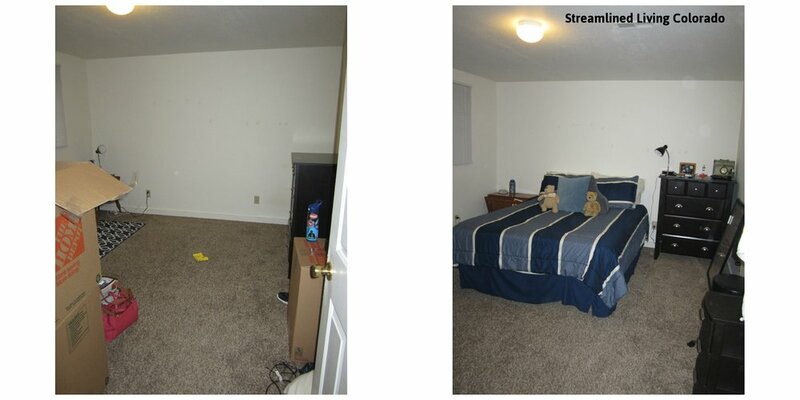 Now this teenager can fully relax in his new space! Unpack 2/3: My client's son was working his after-school job so she hired me to get him unpacked and settled while he was at work. Library: This client was overwhelmed at the thought of unpacking and organizing his library so Streamlined Living was brought in to help! This project took about 2 hours. Centennial Move Prep 1/4: This client contacted me at the advice of her Realtor to get the house prepped before listing photos were taken. Now this guest room closet is camera ready! Centennial Move Prep 2/4: Streamlined Living hauled away a car full of hard-to-recycle items and brought them to SustainAbility Recycling. We also arranged for dresses to be donated to Bella Boutique and brought the other client donations to the Treasure Trunk Thrift Store. All of these services are included in our prices and we do this for EVERY client! Basement Unpack 1/4: These clients were so happy to get their basement living area set up and the final boxes unpacked! Pre-Moving De-Clutter Project 1/3: This client hired me to de-clutter in preparation for listing the home to sell. The media room is now ready for the listing photos to be taken! Pre-Moving De-clutter Project 2/3: This client hired me to de-clutter in preparation for listing the home to sell. Pre-Moving De-Clutter Project 3/3: As I decluttered this space, I used the client's own items to stage it before listing photos were taken.